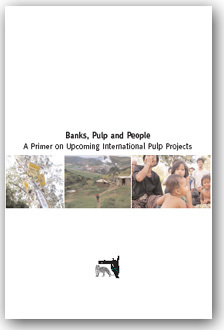 A new report by Down To Earth documents the problems with United Fiber System’s proposed pulp developments in Kalimantan. 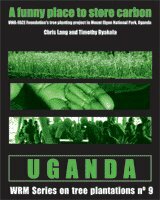 I met up with the author and other activists while they were in Germany in September 2006. By Chris Lang. Published in WRM Bulletin 111, October 2006. Later this year, United Fiber Systems plans to open a new 700,000 tonnes a year wood chip mill at Alle-Alle on the island of Pulau Laut. The mill is the first step of UFS’ proposed pulp developments for Kalimantan. The wood chips will be exported to feed pulp and paper mills in China. For more than a year, UFS has been involved in negotiations to take over the 525,000 tonnes a year Kiani Kertas pulp mill in East Kalimantan. In July 2005, UFS signed a deal to manage operations at the heavily indebted pulp mill. “Our takeover bid for Kiani Kertas is still under discussion with the owners,” UFS director, Wong Vun Khi, told WRM. UFS also plans to build a 600,000 tonnes a year pulp mill at Satui in South Kalimantan. “The development work for the Satui pulp mill project is in principle ready, but the start-up date for the construction of the mill has not yet been decided upon,” said Wong. 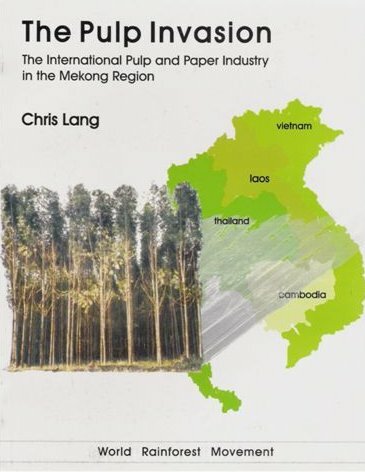 A new report, “No Chip Mill Without Wood“, written by Betty Tio Minar and published by Down to Earth, documents the problems related to UFS’ wood chip mill and proposed pulp plans in Kalimantan. Betty Tio Minar and Deddy Ratih from Walhi South Kalimantan recently visited Europe to discuss the proposed projects with NGOs, members of the public and potential financiers of UFS in Germany, Austria and the Netherlands. 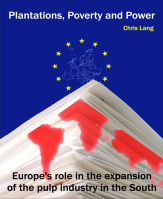 At a meeting in Berlin organised by Watch Indonesia!, Minar explained that local NGOs have been unable to obtain copies of the EIA for UFS’ wood chip mill. UFS needs permission from the Ministry of Forestry to build the mill and from the Ministry of Transportation to build a port linked to the mill. UFS has received none of these permits. “The Governor of South Kalimantan has not yet given his recommendation for the project,” said Minar. She added that local fisher folk have already seen the impacts of the wood chip mill, as coral reefs around the island have been used to construct the port. Down to Earth has calculated the area of plantations that would be needed to feed each of UFS’ proposed pulp operations. The wood chip mill will require an area of 85,895 hectares. The existing Kiani Kertas mill needs about 170,000 hectares of plantations to run at capacity. UFS’ proposed Satui pulp mill would require almost 200,000 hectares of plantations. State-owned plantation company Inhutani II has a 50,000 hectare acacia plantation on Pulau Laut, which could potentially supply part of the chip mill’s wood. 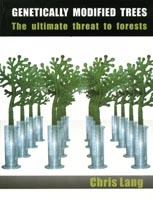 But in May 2006, Inhutani II joined the Global Forest and Trade Network, WWF’s scheme to promote “eco-friendly” timber to international buyers. The World Bank’s International Finance Corporation has been working with Inhutani II for almost three years, providing technical assistance and advice. Through a subsidiary, PT Hutan Rindang Buana (PT HRB), UFS has a plantation concession covering about 250,000 hectares. UFS director Wong Vun Khi told WRM that PT HRB has planted 75,000 hectares. 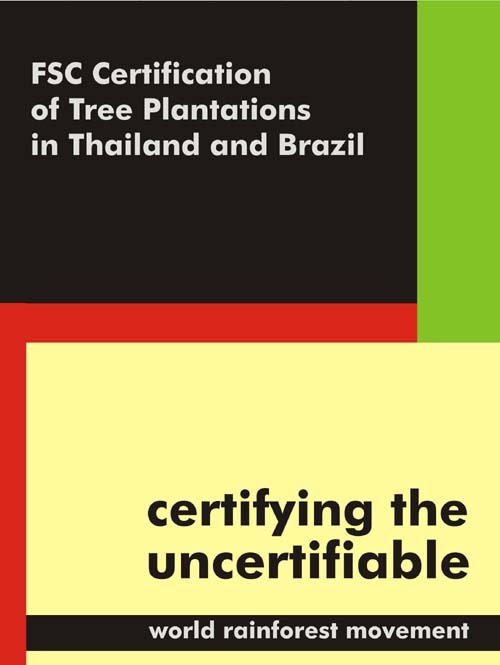 But forestry consultant Jaakko Pöyry estimates that only about 60,000 hectares is planted. Down to Earth quotes a local NGO as saying that only 15,000 hectares is in good enough condition to supply raw material. Down to Earth makes a series of recommendations, including an immediate independent review of the sustainability of wood supplies for all of UFS’ proposed developments. “UFS must, as a matter of priority, work on mitigating the environmental and social impacts of its Alle-Alle chip mill and no permit should be issued for the Satui pulp project,” states the report.